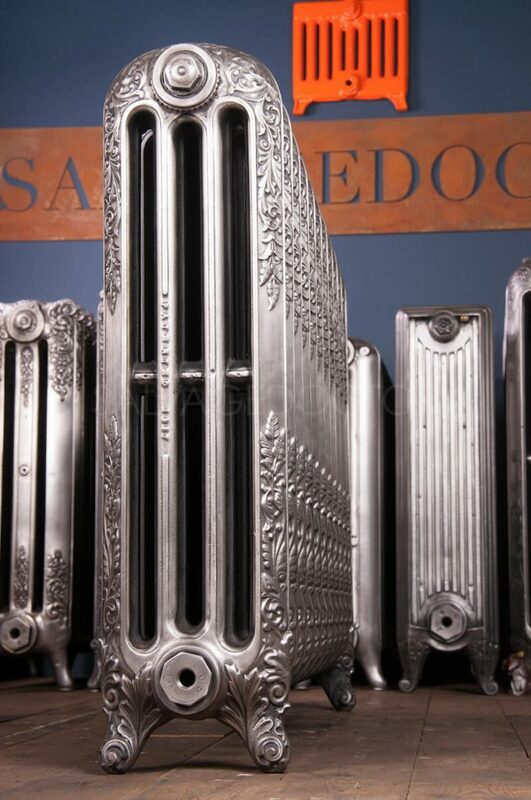 Thank you for looking at our cast iron radiators that are ready to go. 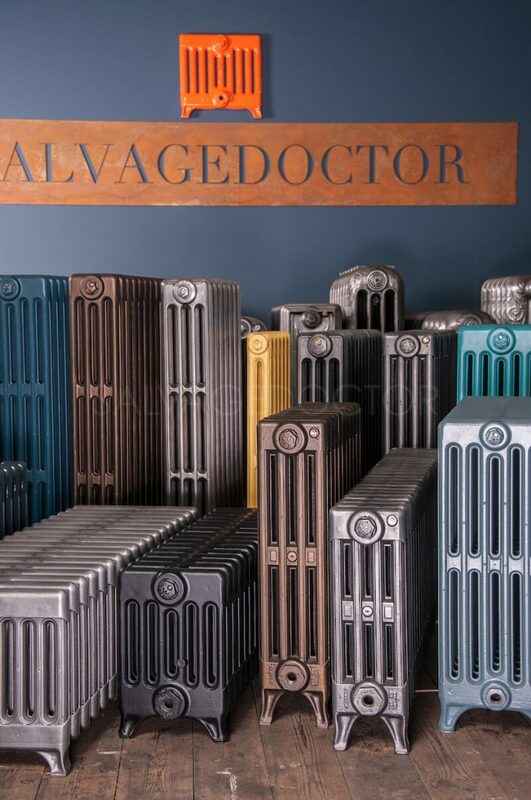 The radiators below represent prepared stock in predetermined sizes and colours, ready for despatch at short notice for those working to a time frame. 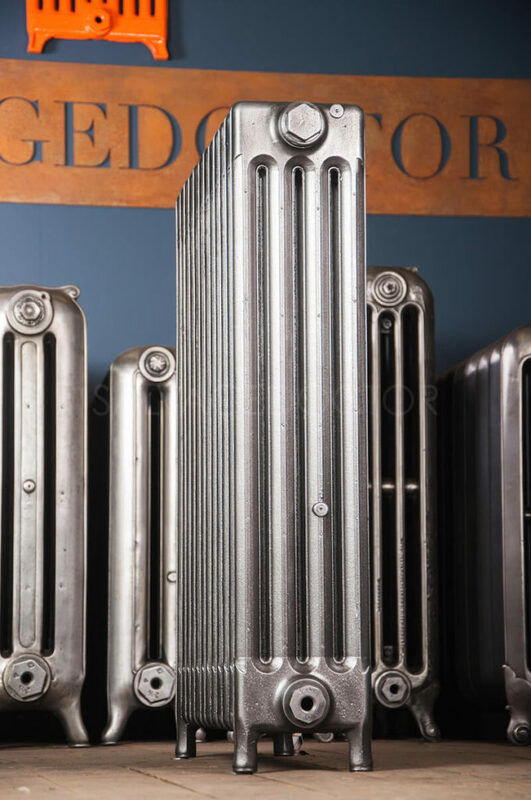 We will also build radiators to your specific requirements from our stock. This bespoke process requires lead time which changes according to our work load. 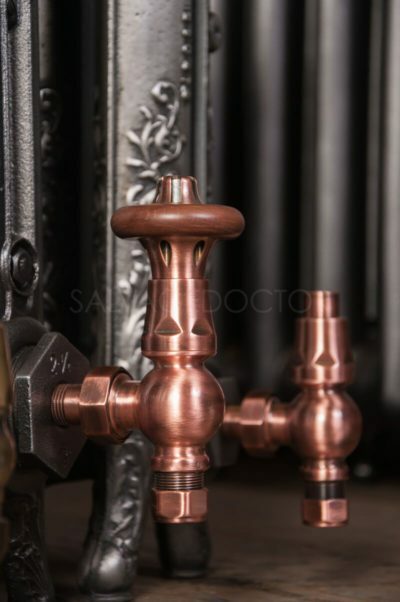 If you see a radiator you like, please contact us using the enquiry link and we will be happy to quote delivery costs or price for a similar radiator (lead time applies). We can despatch by courier or pallet style delivery depending upon your location. We accept card payments or can provide bank details if you wish to pay by BACS. Please take a look at our valves and accessories page for the extra items you will need. A colour coded wallstay comes FOC with every radiator sold.